So the dust from Freshers’ week has settled and you have started to get your head around your new timetable, we thought we would check in to see how it’s all going. It can be a stressful time for all students, whether you’re starting your final year or just starting out. Moving away from home for the first time or learning to live with new flatmates. Monday 9th – Friday 13th October is Mental Health Awareness Week and HudLets understand that your accommodation plays such a huge part in your mental wellbeing. We want you to know that no matter what your housing issues HudLets are here to help. 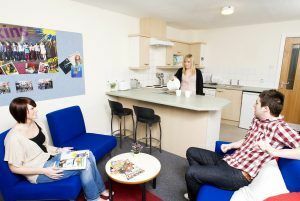 One of the biggest problems we hear about students facing when moving into student housing is the feeling of isolation and this can have a big impact on your mental health. The first thing to remember is that you are not alone, loads of students are in exactly the same position as you. Going out there and talking with flatmates can be hard, but trust us, it’s so worth it! Cooking with your flatmates can be a great way of getting to know each other better, have a look at our cookbook, for some easy recipe ideas! One of the other big things that can significantly affect your mental health are your surroundings. Make sure that your room is somewhere you enjoy hanging out in, a few photographs of friends and family can go a long way. Inject a bit of personality with a colourful duvet cover and your favourite items from home. 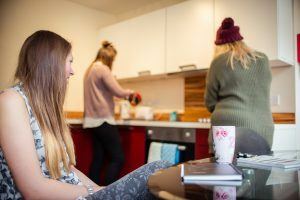 Work together with your flatmates to keep communal areas clean and tidy. We understand that some of your accommodation issues are out of your control. All of the houses and halls listed on our site are subject to a quality assessment and must achieve a minimum standard. If you do have any issues with your property then make sure you contact your landlord or staff at your halls of residence. If your landlord is ignoring you or being unhelpful then get in touch with us, we are here to help all students and we will work with your landlord to resolve any issues you are having.